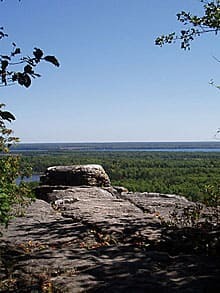 Ontario's Manitoulin Island is the world's largest freshwater lake island. It is also Canada's 31st largest island. Manitoulin Island itself has 108 freshwater lakes. During the summer months the population (12,600 permanent residents) on the island grows by more than a quarter of its usual size due to the popularity of boating and other activities offered to tourists. Take your camera, the trilliums are breathtaking - perhaps see eagles, falcons, or sandhill cranes. And watch for the deer grazing indolently everywhere. Prized for her dark skies, Manitoulin attracts stargazers from around the world. The diverse landscapes, unspoiled air and spiritual energy to be discovered in between these access points and to the east and west are why some call this island a "sacred place". Long, dreamy, natural beaches, which at the peak of summer's heat, will fool you into thinking you are on a Caribbean trip. Challenging hiking trails carved through layers of ancient fossilized limestone will elevate you to indescribable panoramic views. You need to see for yourself and meet the Island's people to fully understand this wonder and to truly live its uniqueness and beauty. I am lucky enough to rediscover it every year as my parents have a cottage on the Island. It is Ontario's and Canada's little known wonder. Largest fresh water island in the world. Largest lake on a fresh water island in the world. Largest sand beach on a fresh water island in the world. Home of the Worlds Largest Dreamcatcher. The world's Largest Peace Pipe. Canada's only "working" swing bridge and so on, and so on, and so on. 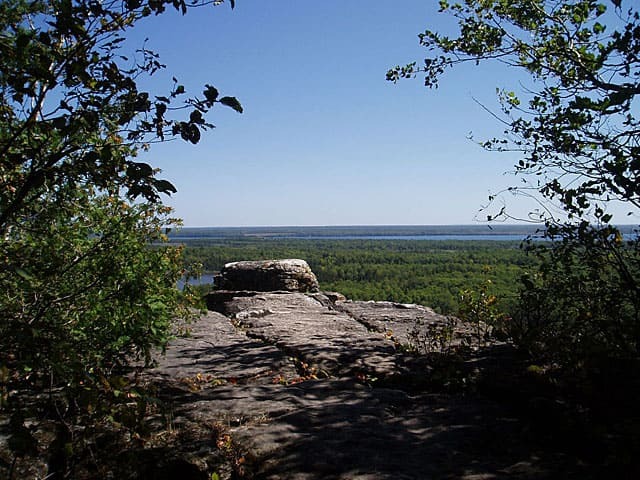 Manitoulin is a limestone formation which is part of the Niagara Escartment. It is a place you can go and not help but relax. Its natural beauty is unparalleled. There is also a great native history behind it. She shows off her most breath-taking terrain. Her landscape switches from flat to rolling farmlands and thick bushy hills. She is very rich with flora and fauna. This piece of heaven on earth offers many visitors from all over the world a fantastic natural and unique place to explore.